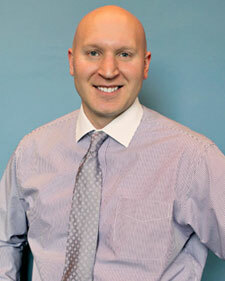 Dr. Mike grew up in a small town in southeastern Wisconsin and was very active in sports and activities. First introduced to chiropractic as a sophomore in high school after suffering a football injury, Dr. Mike turned this eye-opening experience into a passion for health and wellness. He moved to Minnesota in 2002 to continue his dream of becoming a chiropractor. 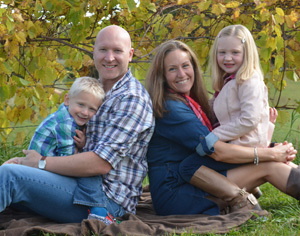 Dr. Mike graduated from Northwestern Health Sciences University in 2005, and is now beginning his 12th year in chiropractic practice and has been with ChiroCenter for 6 years in May. He treats patients in our in our Long Lake office full time. In 2007, he married the love of his life, Sara, a social studies teacher and track and field coach ta Mound Westonka High School. He and his wife welcomed a beautiful daughter, Josephine, in 2010, and a handsome son, Zachary, in 2012. They recently moved west of Lake Minnetonka to beautiful Minnetrista. MN. In his free time, Dr. Mike enjoys spending time with family and friends, volunteering with the Long Lake Area Chamber of Commerce, coaching Westonka Varsity Football and Track, golfing, biking, hunting, watching movies and cheering on the Vikings and the Twins. Dr. Mike loves sharing his enthusiasm for health and chiropractic to patients of all ages and believes everyone can benefit from chiropractic care. To schedule an appointment with Dr Mike, give our Long Lake a call today!